The theme for the ARA Annual Conference 2017 is: ‘Challenge the Past, Set the Agenda’. I was fortunate enough to attend a pre-conference workshop in Manchester, ran by Lori Donovan and Maria Praetzellis from The Internet Archive, about the bountiful harvest that is web content, and the technology, tools and features that enable web archivists to overcome the challenges it presents. Responsibility: Some documents are ONLY digital. For example, if a repository upholds a role to maintain all published records, a website can be moved into the realm of publication material. When asked about duplication amongst web archives, and whether it was a problem if two different organisations archive the same web content, Lori put forward the argument that duplication is not worrisome. The more captures of a website is good for long term preservation in general – in some cases organisations can work together on collaborative collecting if the collection scope is appropriate. Ultimately, the priority of crawling and capturing a site is to recreate the same experience a user would have if they were to visit the live site on the day it was archived. Combining this with an appropriate archive frequency means that change over time can also be preserved. This is hugely important: the ephemeral nature of internet content is widely attested to. Thankfully, the misconception that ‘online content will be around forever’ is being confronted. Lori put forward some examples to illustrate the point for why the archiving of websites is crucial. Furthermore, we were told about a 2014 study which concluded that 70% of scholarly articles online with text citations suffered from reference rot over time. This speaks volumes about preserving copies in order for both authentication and academic integrity. Lori also pointed us to the NDSA 2016/2017 survey which outlines the principle concerns within web archiving currently: Social media, (70%); Video, (69%) and Interactive media and Databases, (both 62%). Any dynamic content can be difficult to capture and curate, therefore sharing advice and guidelines amongst leaders in the web archiving community is a key factor in determining successful practice for both current web archivists, and those of future generations. Brozzler. Definitely my new favourite portmanteau (browser + crawler = brozzler! ), brozzler is the newly developed crawler by The Internet Archive which is replacing the combination of heritrix and umbra crawlers. Brozzler captures http traffic as it is loaded, works with YouTube in order to improve media capture and the data will be immediately written and saved as a WARC file. Also, brozzler uses a real browser to fetch pages, which enables it to capture embedded urls and extract links. Elasticsearch. The full-text search system does not just search the html content displayed on the web pages, it searches PDF, Word and other text-based documents. solr. A metadata-only search tool. Metadata can be added on Archive-it at collection, seed and document level. 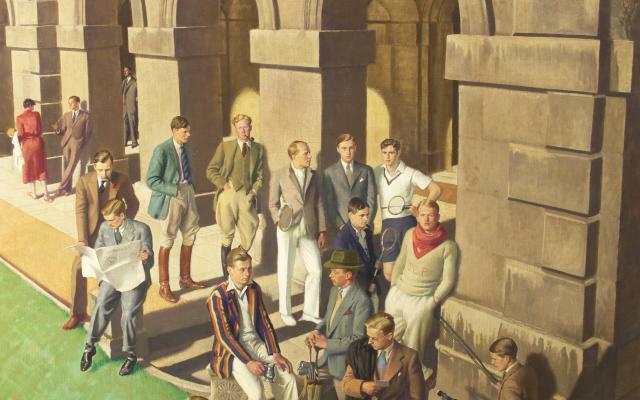 The tangible experience and use of web archives where a site can be navigated as if it was live can shed so much light on the political and social climate of its time of capture. 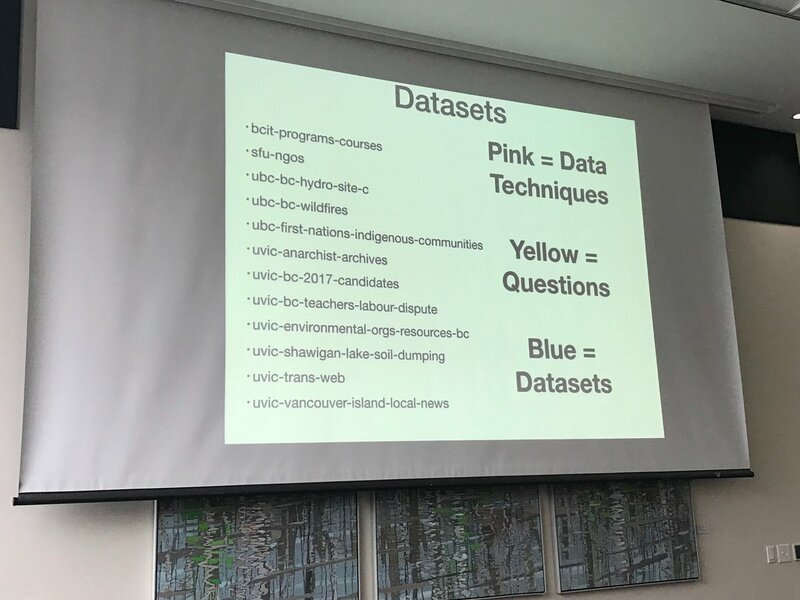 Yet, Maria explained that the raw captured data, rather than just the replay, is obviously a rich area for potential research and, if handled correctly, is an inappropriable research tool. As well as the use of Brozzler as a new crawling technology, Archive-it research services offer a set of derivative data-set files which are less complex than WARC and allow for data analysis and research. One of these derivative data sets is a Longitudinal Graph Analysis (LGA) dataset file which will allow the researcher to analyse the trend in links between urls over time within an entire web collection. Maria acknowledged that there are lessons to be learnt when supporting researchers using web archives, including technical proficiency training and reference resources. The typology of the researchers who use web archives is ever growing: social and political scientists, digital humanities disciplines, computer science and documentary and evidence based research including legal discovery. What Lori and Maria both made clear throughout the workshop was that the development and growth of web archiving is integral to challenging the past and preserving access on a long term scale. I really appreciated an insight into how the life cycle of web archiving is a continual process, from creating a collection, through to research services, whilst simultaneously managing the workflow of curation. 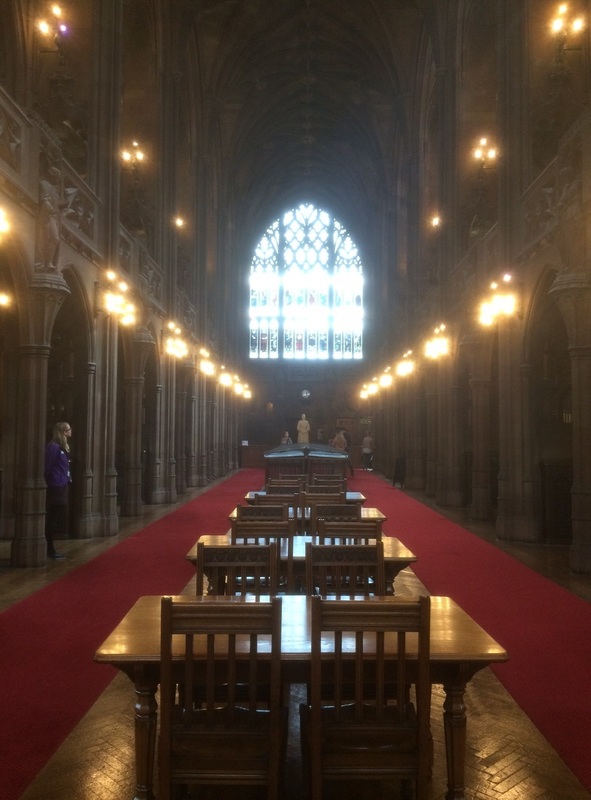 I couldn’t leave Manchester without exploring the John Rylands Library and Manchester’s Central Library. 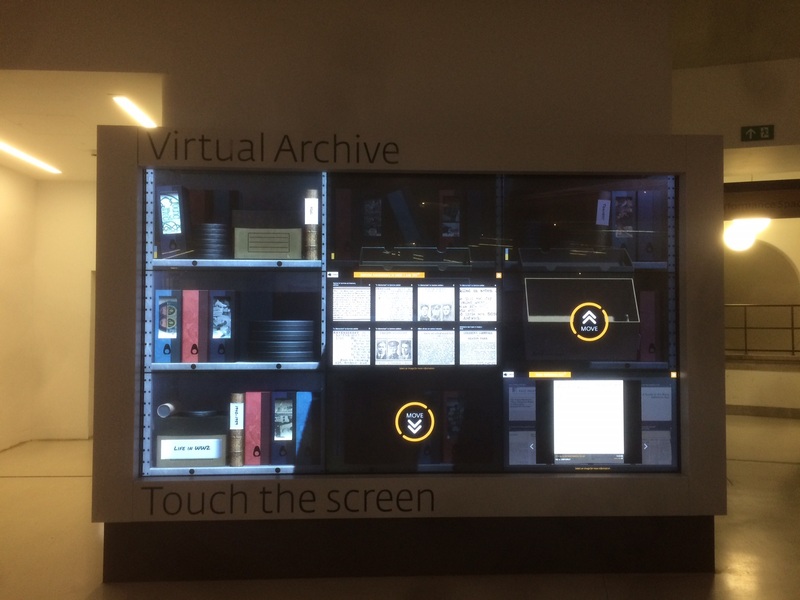 In the latter, this interactive digital representation of a physical archive combined choosing a box from how a physical archive may be arranged, and then projected the digitised content onto the screen once selected. A few streets away in Deansgate I had just enough time in John Rylands to learn that the fear of beards is called Pogonophobia. Go and visit yourself to learn more! 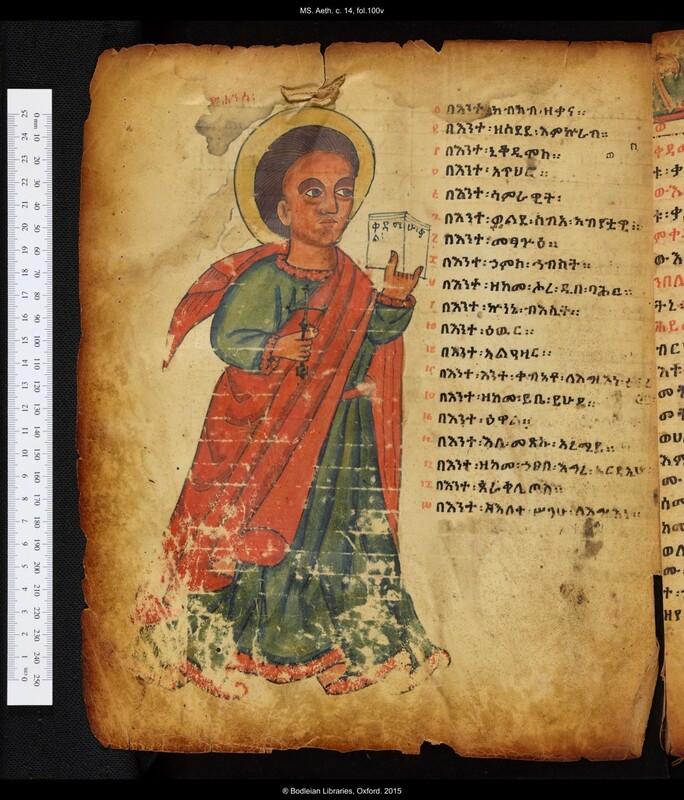 Recent months have brought an unprecedented interest in Ge’ez manuscripts of Ethiopia and Eritrea – a development that we welcome at the Bodleian. Study of this material has reached a new level, with further palaeographical and codicological knowledge, as well as a growing appreciation of art history. Studying, displaying, and digitising a variety of our little-known codices and scrolls with modern means help us better understand and disseminate our findings to new audiences. 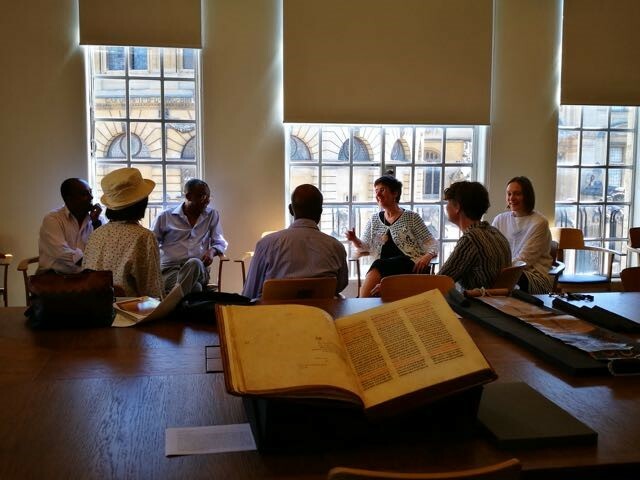 With this in mind, on Saturday, the 17th of June we welcomed a small group of Ethiopians and Eritreans at the Bodleian to view a selection of Ge’ez manuscripts of Ethiopia and Eritrea. The material, which was studied and discussed with great excitement, included a magic scroll with miniatures of angels and demons, an illuminated seventeenth-century prayer book, fragments of a medieval gospel with evangelists’ portraits, a hagiographic work with copious illustrations to the text, an important textual variant of the Book of Enoch and the epic work Kebra Nagast (Glory of the Kings). The experience of the day was that of beautiful exchange of ideas, as well as building bridges within and between communities. We look forward to future developments! Engaged in discussion from left to right: Dereje Debella, Judith McKenzie, Girma Getahun, Yemane Asfedai, Gillian Evison, Madeline Slaven and Rahel Fronda. Photo credit: Mai Musié. 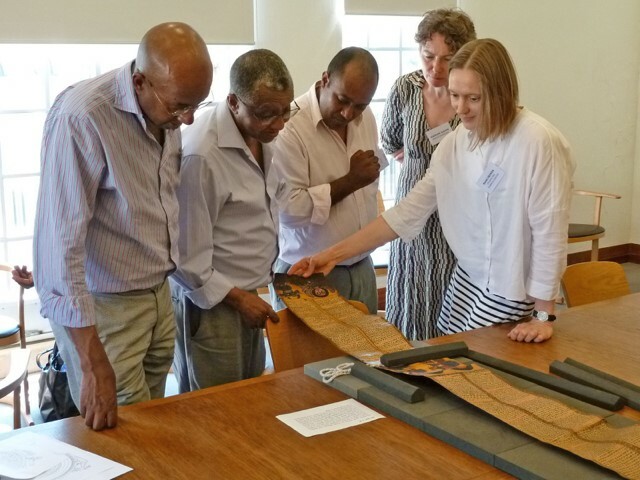 Studying a magic scroll, from left to right: Yemane Asfedai, Girma Getahun, Dereje Debella, Madeline Slaven and Rahel Fronda. Photo credit: Gillian Evison. Studying a textual variant of the Ethiopian Book of Enoch, from left to right: Rahel Fronda, Dereje Debella, Girma Getahun, Yemane Asfedai, Gillian Evison and Madeline Slaven. Photo credit: Miranda Williams. 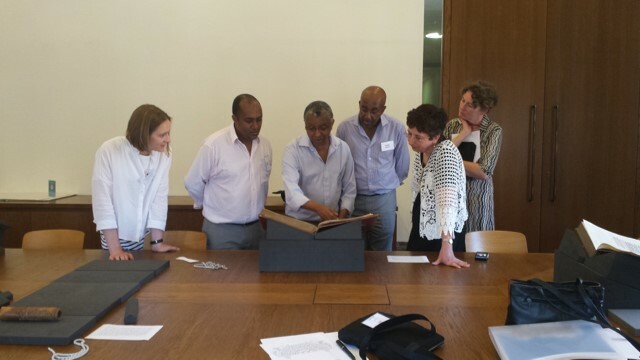 On Saturday, the 8th of April a group of bibliophiles from the Anglo-Ethiopian Society visited the Weston Library. 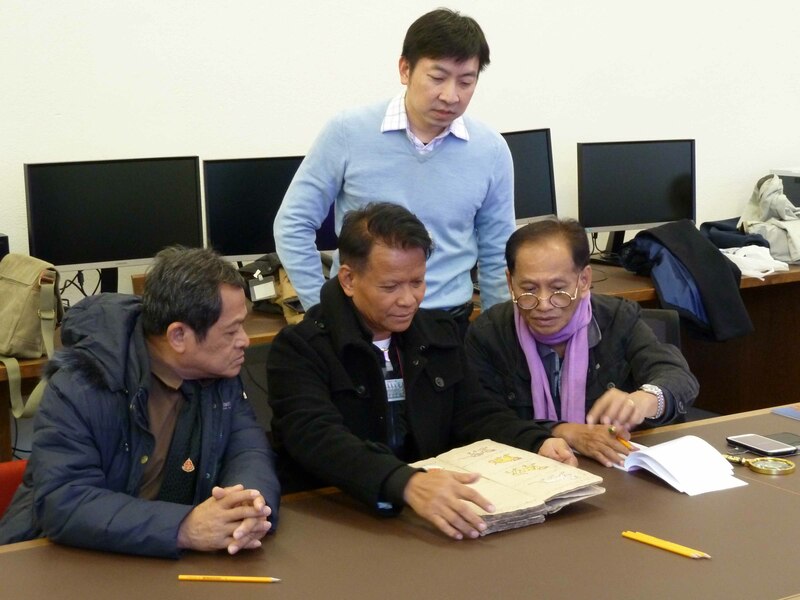 Their trip from London to Oxford was intended as a study day, attending lectures and a photo exhibition on the illuminated Gospels from the Abba Garima Monastery. 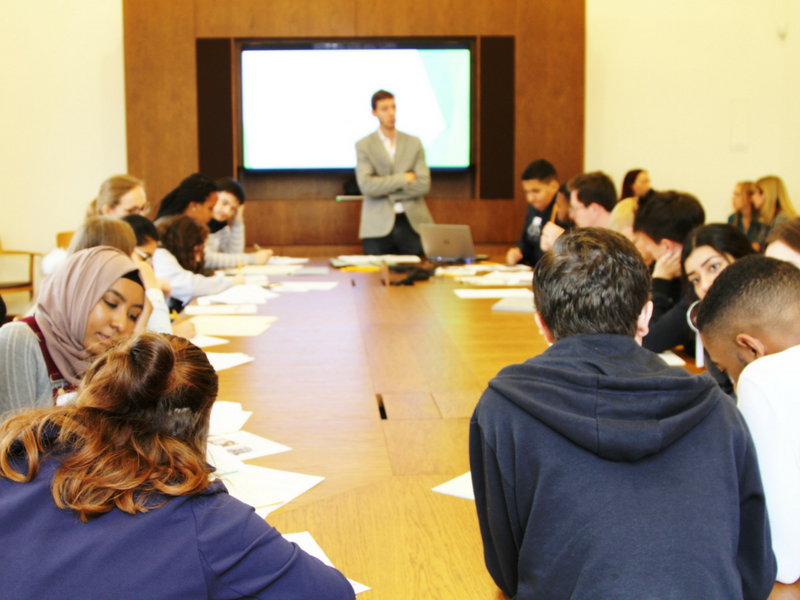 During the academic programme, Dr Judith McKenzie spoke about the themes of Garima illumination, while Professor Francis Watson gave a lecture on canon tables. 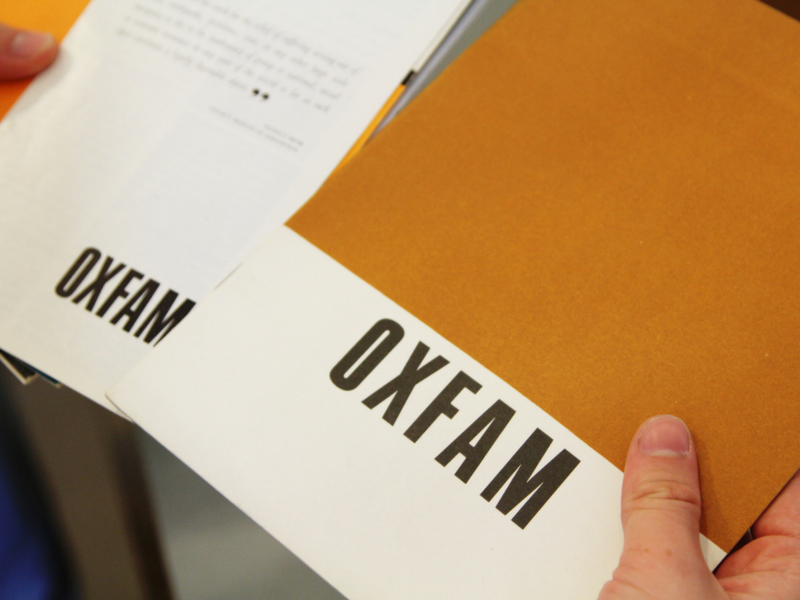 The first part of the day took place at the Ioannou centre and was organised by Judith McKenzie, Miranda Williams, and Foteini Spingou, with photographs by Michael Gervers. 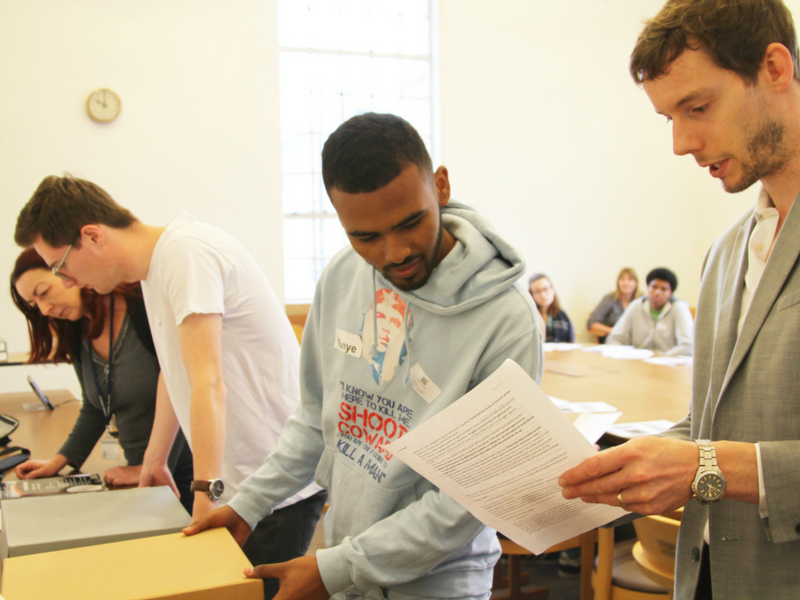 In the afternoon, a small display of Bodleian Ethiopian treasures was ready for the group in the Blackwell Hall. The two fifteenth century biblical codices on display were given to the library by Dr Bent Juel-Jensen in 2006. These exceptional codices come with a wealth of painted miniatures, representing biblical figures from the patriarchs to evangelists. MS. Aeth. 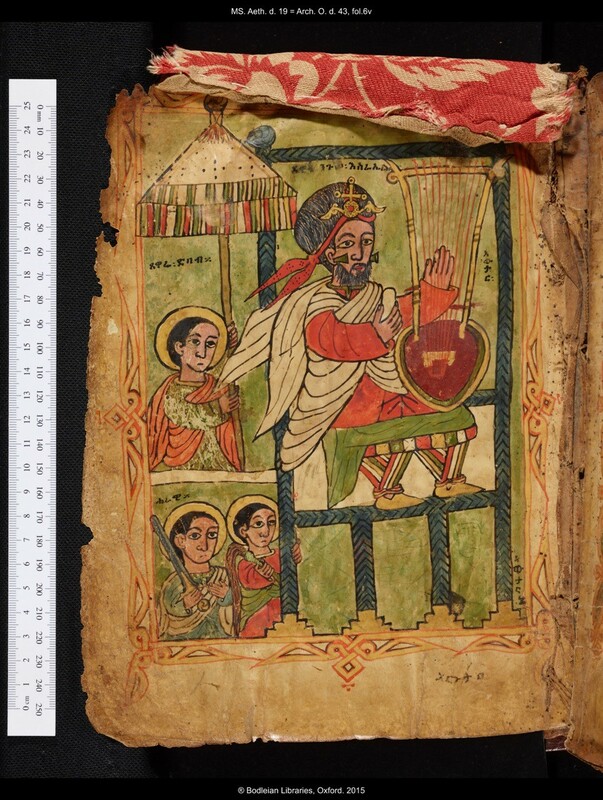 c. 14, comprising the Four Gospels in Ge’ez script is thought to come from the Gojjam province in north-western part of Ethiopia. There are four colour miniatures of the Evangelists, one before each Gospel. These were made by Nicolo Brancaleone, a Venetian artist active in Ethiopia. The other mid-fifteenth century illuminated manuscript, MS. Aeth. d. 19 includes Psalms, hymns of the Old Testament, Song of Songs and Praises of Mary. The display at the Bodleian was received with great interest and there definitely was a sense of enthusiasm for promoting the collection also in the future. 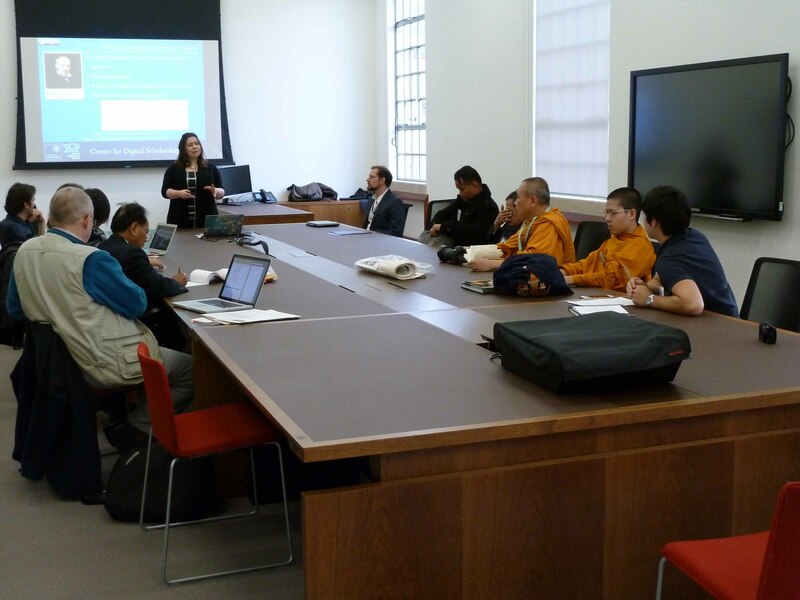 Many thanks to the colleagues in the Oriental collections, as well as Exhibitions department for their support. It was a great pleasure to meet the many members of the Anglo-Ethiopian Society and we look forward to welcoming all back in the future! 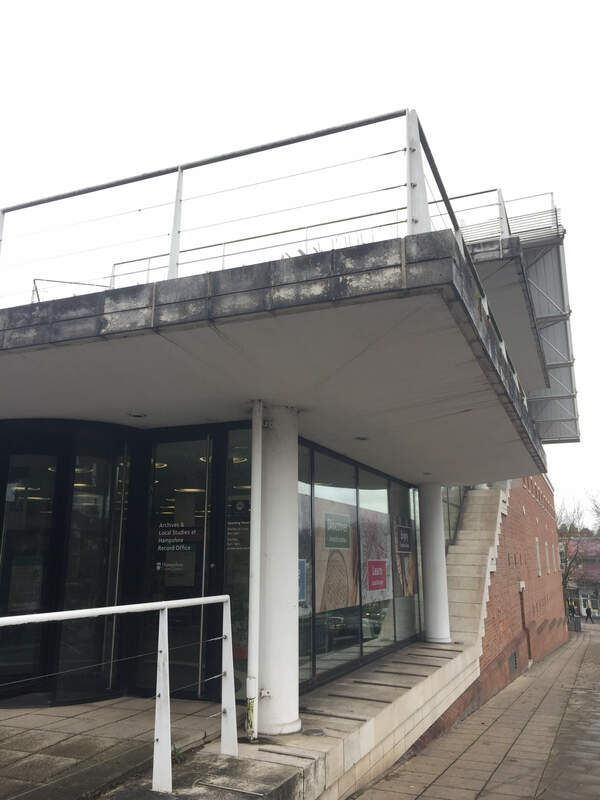 Yesterday I attended the ARA Film Archives Training day in the Wessex Film and Sound Archive in Winchester. The four talks over the course of the day were an excellent introduction to some of the uses of film archives as well as the issues associated with them. Sarah Wyatt of the National Motor Museum gave a fascinating talk on the use of archive film and video footage in museum displays. She discussed a number of benefits in the use of videos- including acting as a restorative from “museum fatigue” (that familiar sensation of being mentally and physically exhausted after wandering around a museum for too long), helping to bring displays to life and showing the motion of moving objects too delicate to be regularly operated. One unexpectedly interesting takeaway from her talk was the revelation that videos in museums are not at all a recent idea. The Imperial War Museum used to enhance their displays with mutoscopes in the 1920s and 1930s! Zoe Viney of the Wessex Film and Sound archive followed, with a talk on the use of archive film in teaching, and the resource packs for schools they are currently trialling (and how it can be relevant beyond just history lessons). The positive effects she discussed included giving a greater insight into the past, supporting investigation and enquiry skills and creating a sense of greater empathy when the children view the footage and realise it is showing actual people, rather than an abstract idea of “the past.” Its use became especially clear when she set an exercise to link a very short film clip showing the return of a stolen ship to possible teaching opportunities. Each group managed to provide a wealth of possibilities, from geography lessons based around ship routes and learning ocean names, to English lessons based around children writing applications to join the new ship crew. Any school children who get the opportunity to use the Wessex Film and Sound Archive resource packs will be very lucky. Providing A Regional Screen Archive Service: preservation, digitisation, and access. After a short break (including tea and biscuits, of course) Dr Frank Gray began his talk centred mostly on how the Screen Archive South East functions, as well as showing some amazing examples of archive film from their collections. 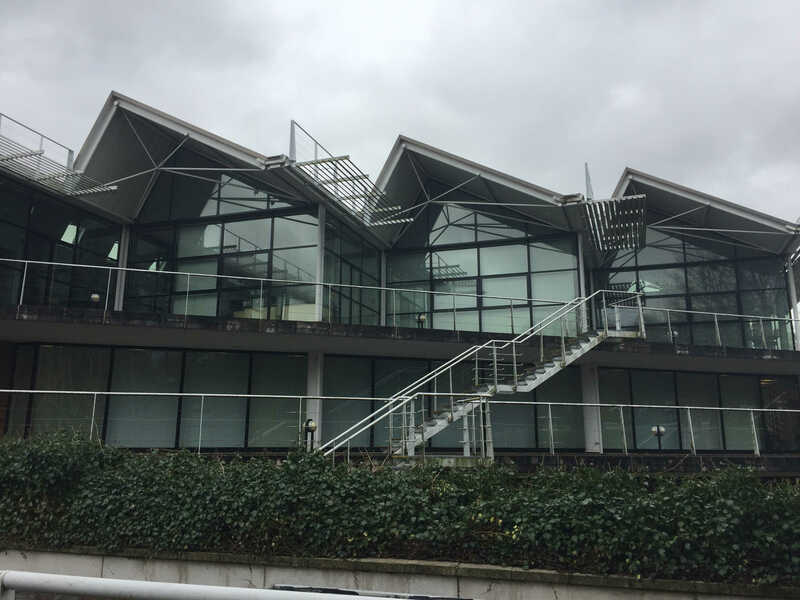 A personal highlight was noticing that their workflow for digitising film followed a very similar structure to ours for digitising cassette tapes – it’s exciting to see the similarities in practice between different media. But the true highlight of his talk came in the examples of digitised film from their collections, and especially the Kinemacolor film shown in its original colours. 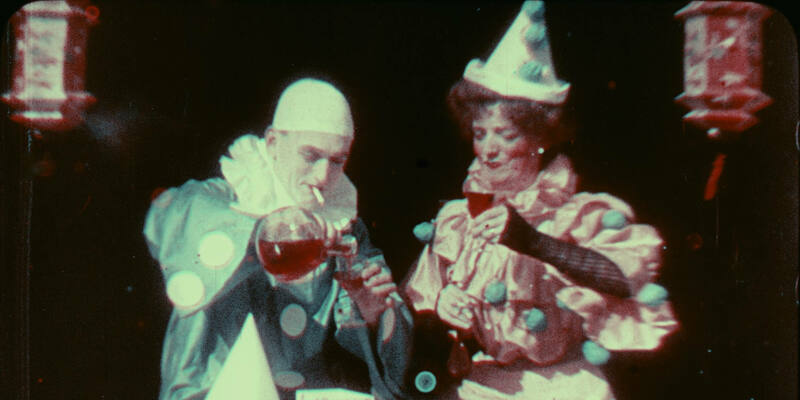 Kinemacolor was a film format developed in Brighton during the early 20th century which used alternating red and green filters in projectors produce colour when viewed. Unfortunately those projectors are now lost, so there had been no way to view Kinemacolor film as it was intended to be seen until a way to digitally reconstruct the colour was established recently. Information about the Screen Archive South East’s past exhibitions of Kinemacolor can be found here. Sarah Wyatt delivered the final talk, a short informative talk on vinegar syndrome, a condition that affects acetate film and, if left untreated and in the wrong conditions, will entirely degrade it. The titular smell is the most familiar symptom, caused by a release of acetic acid that causes irreparable damage at just 3 – 5 parts per million! Even more worryingly, the familiar smell is generally an advanced stage symptom and the syndrome cannot be reversed – just halted if proper precautions are taken. 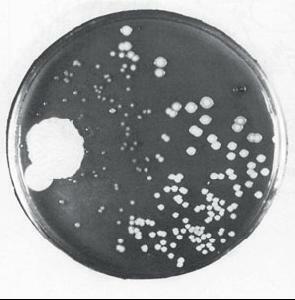 Earlier symptoms can include cracking, shrinking, warping, buckling, flaking and white powder deposits. It was very enlightening, and showed just how important proper storage is. By the end of the training day I had a new appreciation for film archives. I hadn’t before realised just how versatile they are, or how many uses beyond the traditional documentary footage or news clips footage there are.